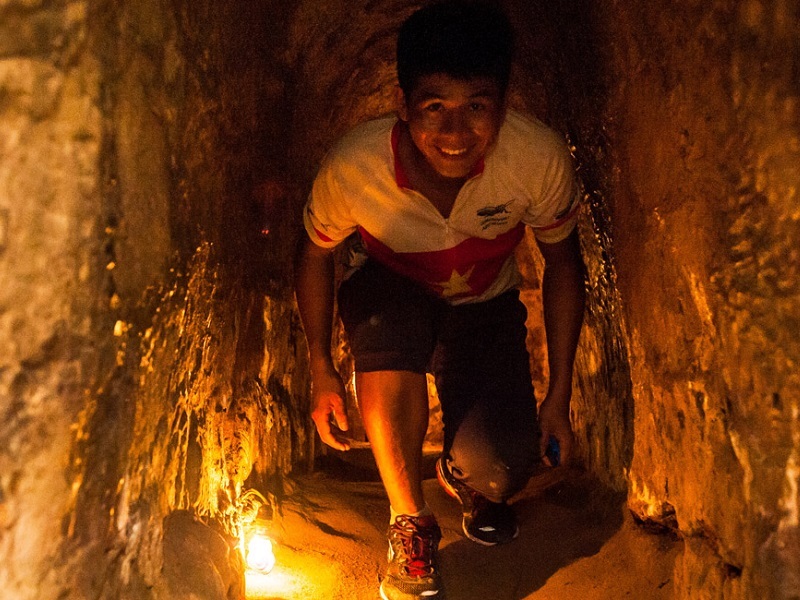 Squeezing your way through the underground complex of Cu Chi tunnels, you will see the meeting rooms, kitchens, health bunkers, and warehouses etc. Visiting rice paper workshop and enjoying tapioca and hot tea will also bring you the feeling of living in the old time. So are you ready for a one-of-a-kind journey back to a significant period? Join this historical expedition now! 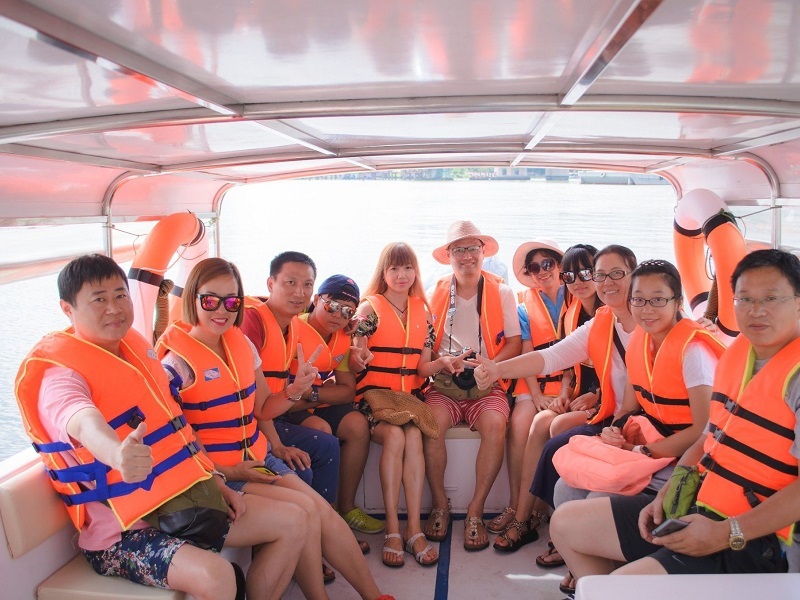 -	Transport by private speed boat, enjoying Sai Gon river scenery on the way. -	Experience atmosphere of the war time. 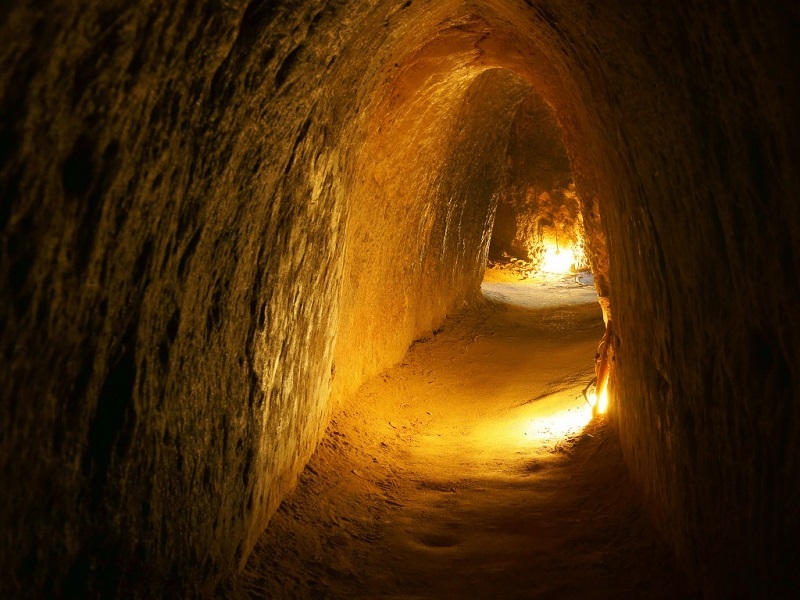 -	Delve into an underground world of guerrilla warfare in the incredible tunnels. 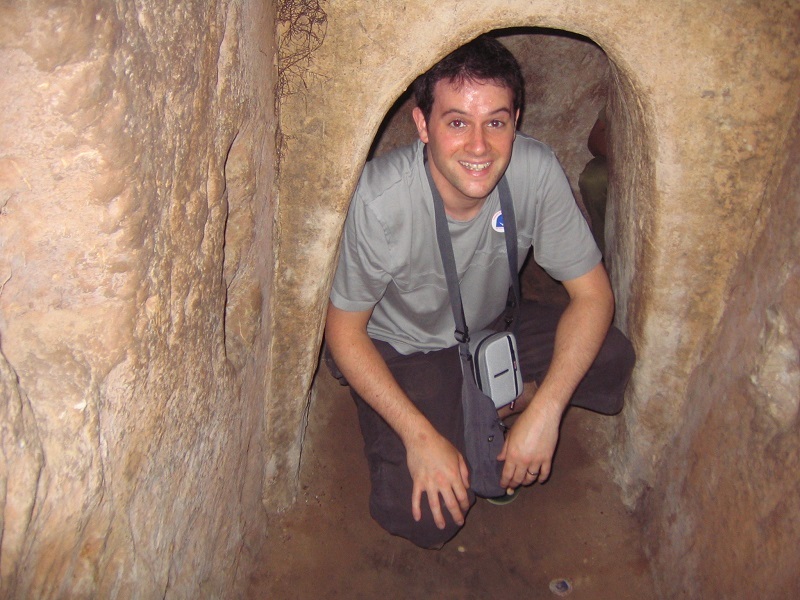 -	Visit the secret hideouts, fighting bunkers, and many dangerous booby traps. -	Discover Hoang Cam's smokeless stove. -	See how rice paper is made. 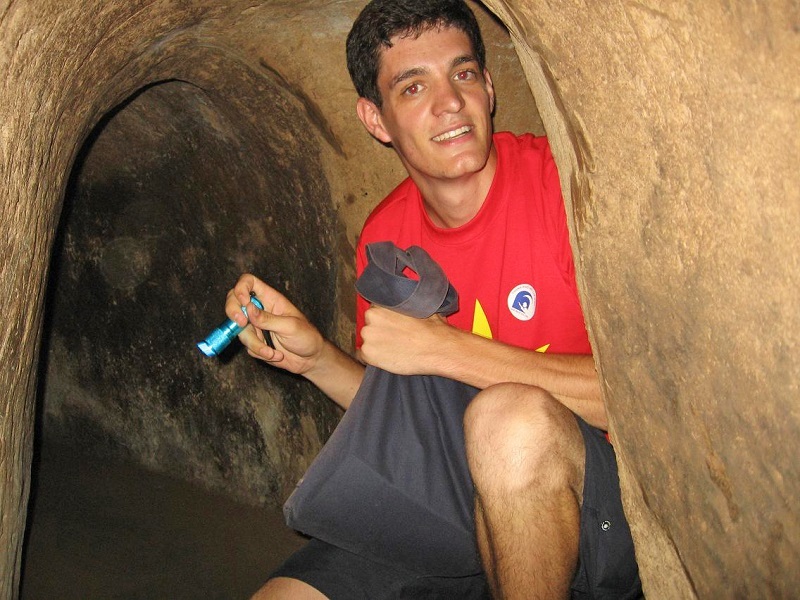 -	Tasting manioc, the food of Vietnamese people during the war time. 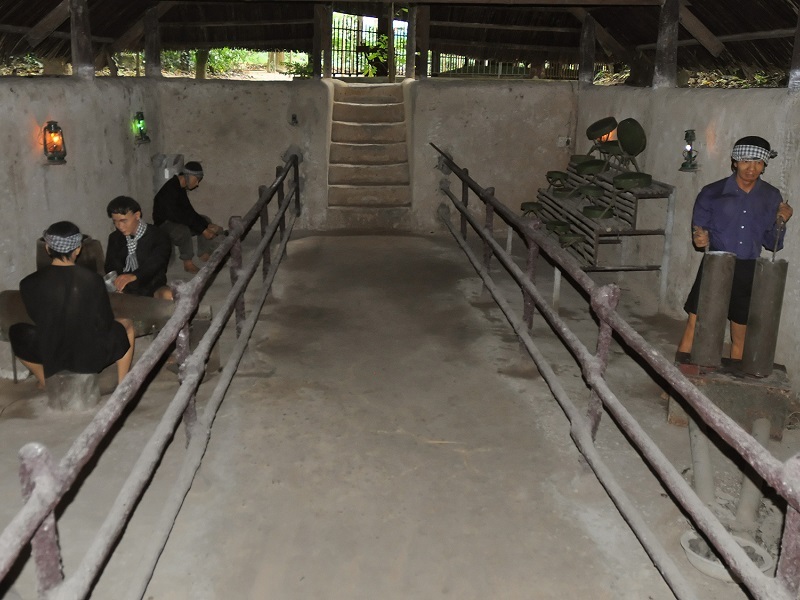 -	Challenge yourself with an optional rifle shooting with real bullet at the field. 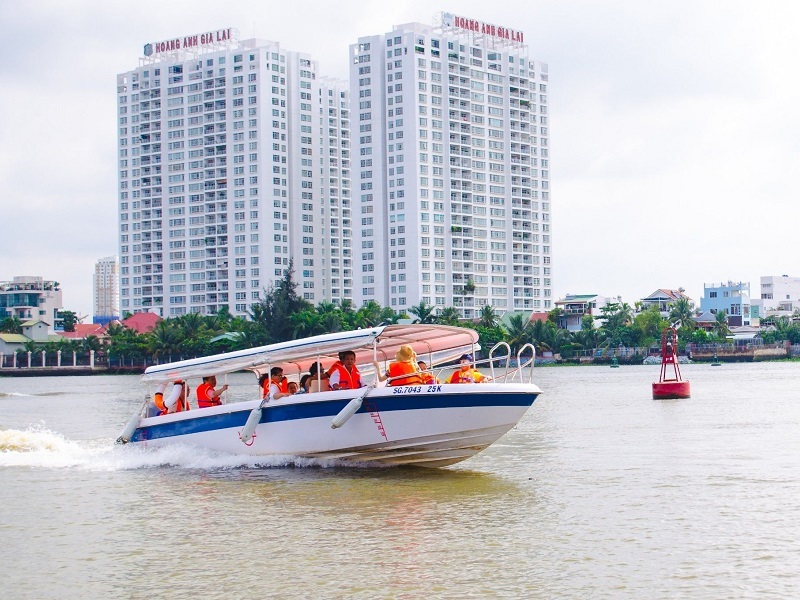 At 07:30 am, we will pick you up by private car at your hotel in Ho Chi Minh city and transfer to pier. 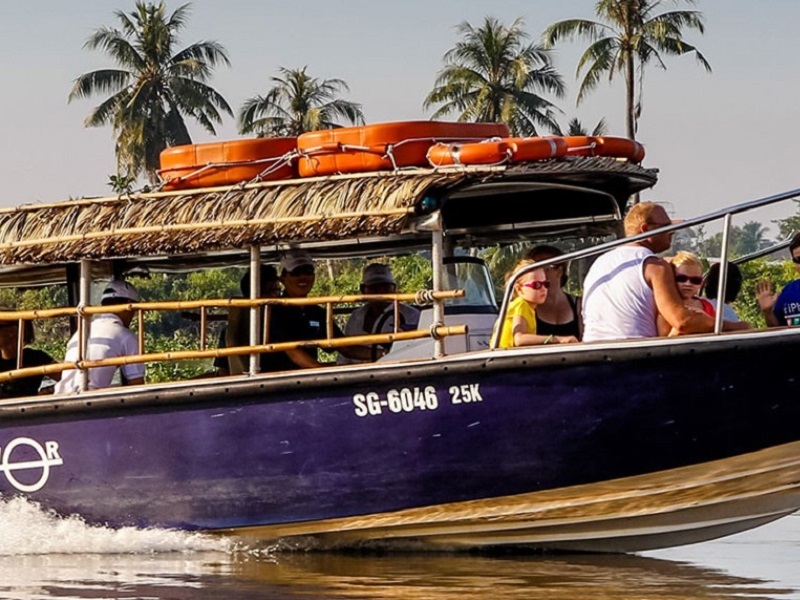 Leave Ho Chi Minh city for Cu Chi tunnels by private speed boat. Within 15 minutes, the banks of the river change from city sprawl to lush jungle. 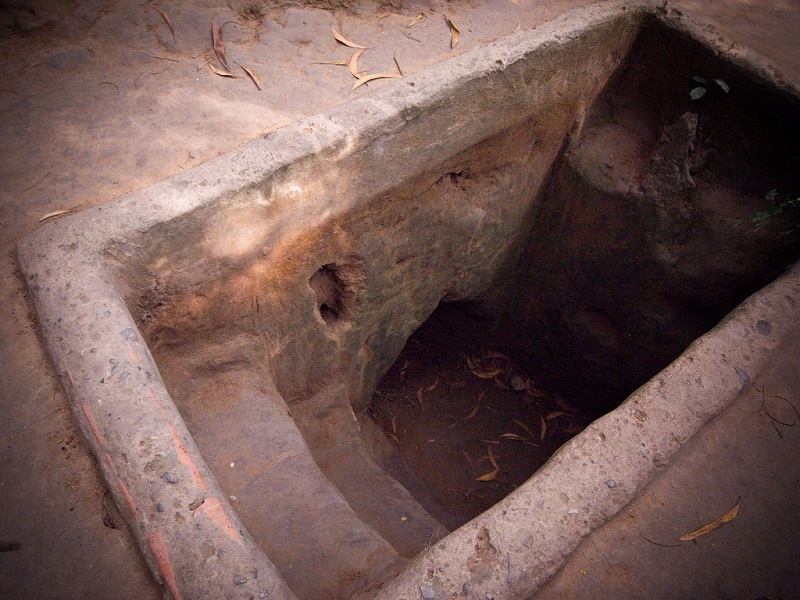 You will ge to know rural traditions and aspects of riverbank life. 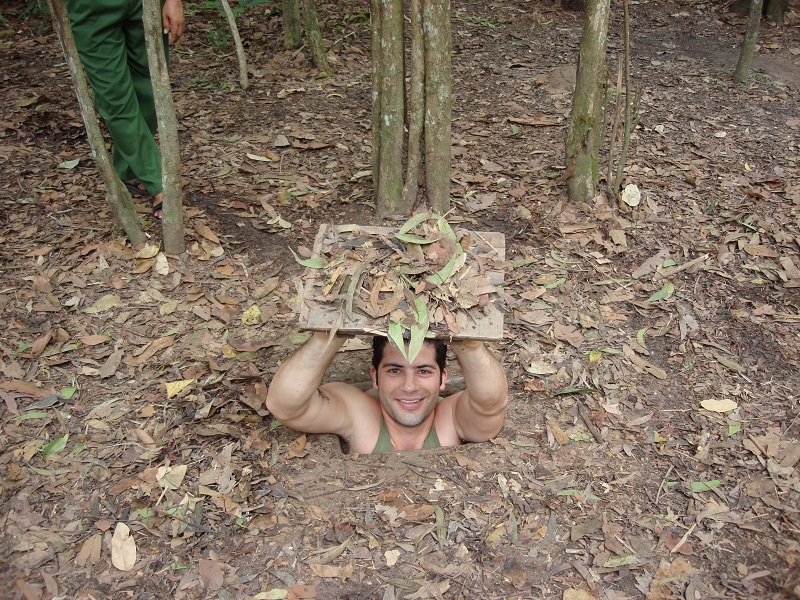 Arrive at Cu Chi tunnels (Ben Dinh) at arround 09:15, you will discover one of the most sophisticated man-made tunnels and its extraordinary wartime legends. 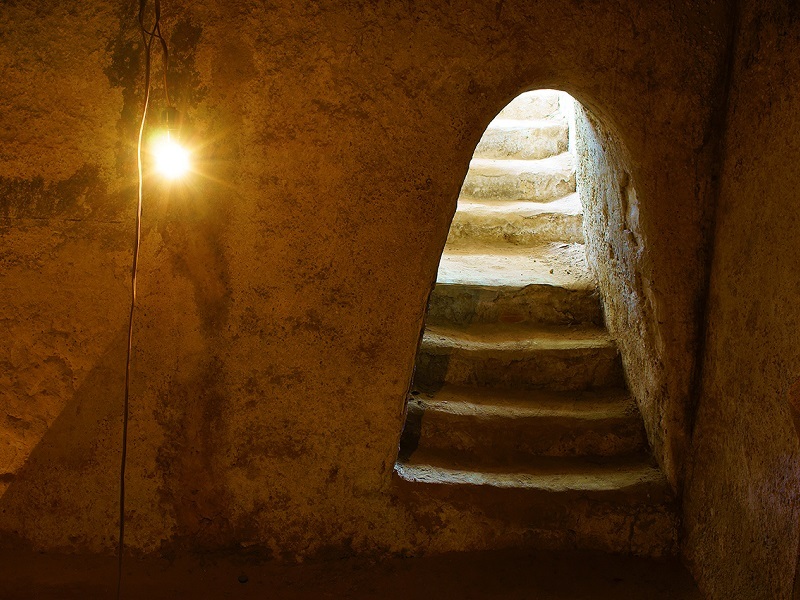 Watching a documentary film about the tunnels during the war time, then walking into the jungle and visiting the traps, the secret entrance, the bunkers, and underground hideouts. 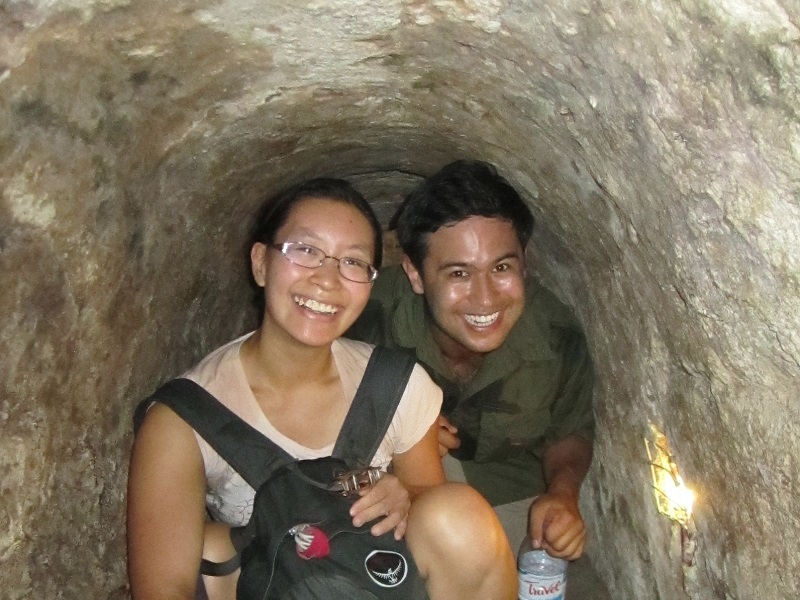 You can try crawling into the tunnels to enjoy the fantastic feeling. Why do not you try the opportunity of shooting real guns, and real bullets at the riffle range? After that you will admire the rice-paper (spring roll skin) and rice-wine production line. Taking a rest, drinking green tea and having tapioca-the main food served during the wartime. 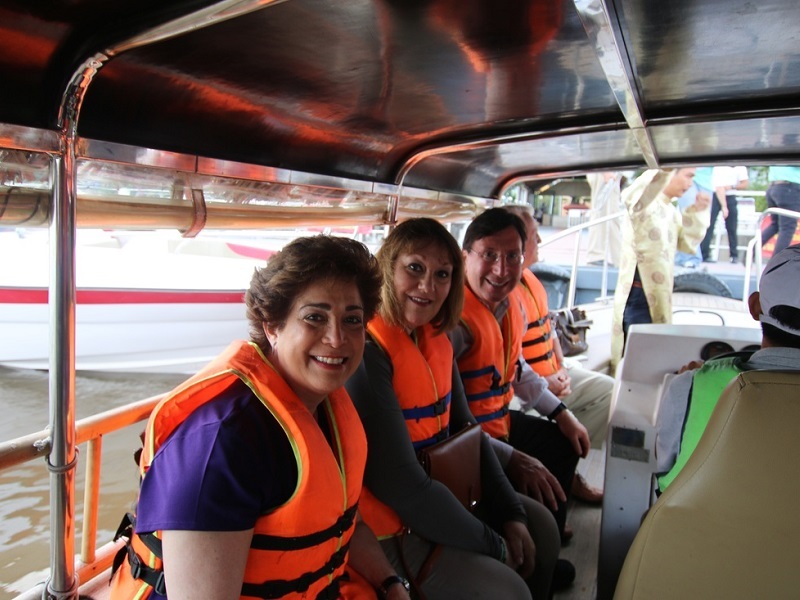 Enjoy the traditional Vietnamese lunch at the riverside restaurant, then back to Ho Chi Minh city by private boat. Arrive in Ho Chi Minh city at arround 14:00 and transfer back to your hotel. End of service.